I saw the hunger games last weekend on a date night with my wife and then again this weekend with my daughter. Even though I haven’t read the book yet, I had seen the previews and it looked interesting and full of action. It did not disappoint, and I enjoyed the movie both times. WARNING: If you haven’t read the books or seen the movie yet I want to warn you that I might be sharing some spoiler information that would ruin your plans to enjoy it first. The movie overall seemed to be making a statement about control and power in life. It would be interesting to look up the author, Suzanne Collins and see what her views were about different subjects in politics, religion, and life. I wonder what kind of statement she is attempting to make about our current culture. I think there are several angles at which you can take the scenes and lines and interpret them a certain way. You could make an argument for the voice of the media today, perhaps a political statement, you can draw a parallel between the different economic classes, and a few other topics I’m sure. Today I want to address the Hunger Games and my Christian faith, since I relate everything to my own personal relationship with Jesus Christ why not relate a movie and see what conversations we can stir up. 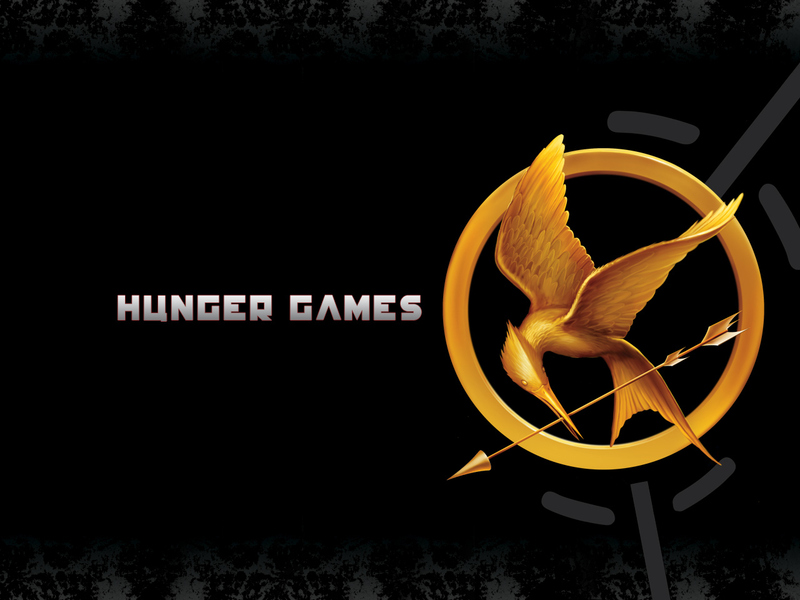 The first thing I want to bring up is the general idea for the Hunger Games all together. The idea that one day in our future we might find ourselves in some similar situation with a twisted goal of survival to the death as a reality game seems so foreign to me, but then I question, could we find ourselves as a culture doing something like that in the future? Will Survivor go into its 50th season with a shocking new twist? I hope not! Pondering the Hunger Games I think that this type of behavior that we credit back to the gladiators of Rome, but I have to say that I don’t think we as humans, still value life much more than we did thousands of years ago. Sure our war habits have changed into more modern practices, but the 20th century has been one of the bloodiest centuries since recorded history. In David Berlinski’s book “The Devils Delusion” Berlinski spends 3 pages totalling up the amount of deaths in just the last century. 1 Dare I even mention the issue of abortion and that since the Roe. v Wade Supreme Court (SCOTUS) decision in 1973 there has been an estimated 50 million abortions in the US alone. Yes, I went there. The right to life is one of the single most important issues for many Christians today. There is also something to be said about how the tributes are paraded in proudly before the masses weeks before their own deaths. I’m curious, where do you think we are as a nation, a planet with the value of human life? As a Christian I often think that we are in a battle not to compromise what we hold to be TRUTH in life and no matter what the rest of the world does or deems acceptable we strive to live our life for God no matter what everyone else does. There are so many scriptures that speak to this challenge. Ezekiel, one of God’s prophets warns the city of Jerusalem that they have fallen into a compromise with the nations around them and because they have failed to follow the Lord, the Lord himself will be against them. (Ezekiel 5:6-8) Would we rather have it our way, like Burger King or have Almighty God against us? There is the more-widely known Romans 12:2 “Do not conform any longer to the pattern of this world, but be transformed by the renewing of your mind. Then you will be able to test and approve what God’s will is—his good, pleasing and perfect will.” and a few chapters later we are told whom we are to conform to. Mind you that, I am not preaching this blog from some state of perfection. The process to conform to the likeness of the Son, Jesus is a life-long journey. One filled with many traps and snares that I have fallen into before. I am a nobody, just trying to help anybody find the peace and joy in life on the way to eternal life with God. I am thankful for the help that God gives me in the journey. He doesn’t just leave me to my own. The last thing I will mention is this post is at the very beginning of the movie where the tributes are chosen in the Reaping. All the teens that are of the appropriate age are herded to the Reaping where a boy and girl of each district are chosen by the people of the Capital. Katniss has a sister named Primrose who was chosen to represent the 12th district and in a move of compassion, Katniss runs forward and volunteers to take her place. According to the law, someone had to be chosen as a tribute from each district, and it was strictly enforced every year, for the past 75 years. No doubt you can see the great parallel between mankind and God. God is Holy and Just and must punish sin. It is His law. As Jesus stepped forth and left His Heavenly home to volunteer His own self to be willing to die for all of mankind. I would encourage you to grab you Bible and read Philippians 2:3-11. It is a great picture of what Jesus Christ did for us. There are more things I would love to bring out, perhaps in another post later. If you have some other thoughts relating the Hunger Games to the Christian worldview or your faith, please feel free to add them. As always questions, comments, and discussions are welcome. This entry was posted on Monday, April 23rd, 2012 at 4:20 pm and is filed under Morals, Religous and Life. You can follow any responses to this entry through the RSS 2.0 feed. You can leave a response, or trackback from your own site.